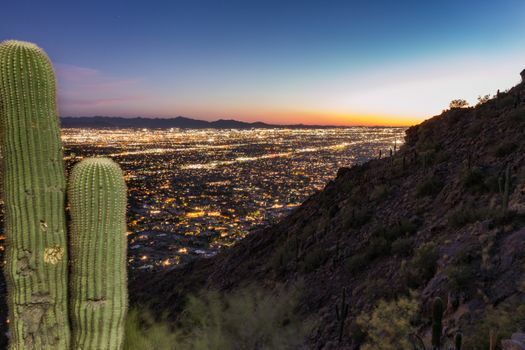 For a romantic break, Phoenix has plenty to offer you and your loved one. Take in the breathtaking scenery from various angles and try different experiences during the day and at night. 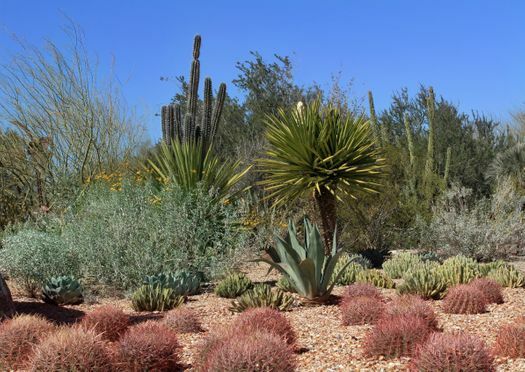 One of the top destinations for a romantic walk in Phoenix is the Desert Botanical Garden. 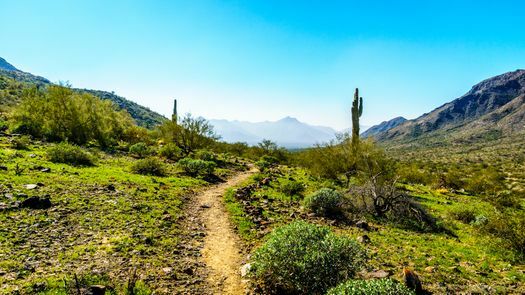 This vast area in Papago Park is filled with stunning desert flora, and it’s one of the largest collections in the world. One of the best times of year to visit is in spring when you’ll see displays of colorful wildflowers. 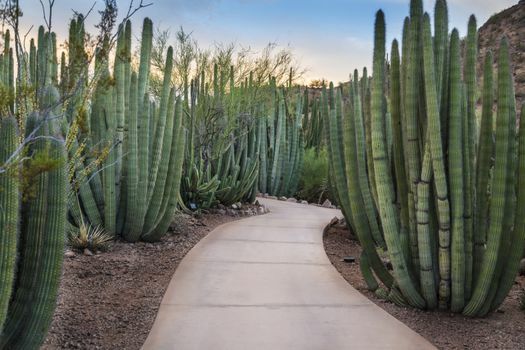 Meander along the ethnobotanical trail to discover how Native American tribes used plants in their daily lives or take your binoculars and go bird-watching along the garden trails with expert birders. Heighten your senses with a mysterious tour at night. Take a flashlight with you to see the night-blooming plants and hear animal noises all around you. 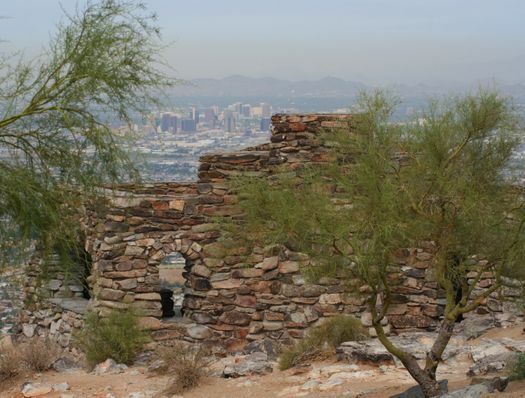 South Mountain is the United States’ largest municipal park and offers breathtaking views of the city. What could be more romantic than driving up to Dobbins Point to watch a sunset? As the sun starts to sink below the horizon, watch the colors changing the valley below you. On your way up to the viewing point, admire the rock art along the pathways that was drawn by the Hohokam people. Wildflowers cover the terrain in spring so the mountain feels even more magical and romantic at this time of year. 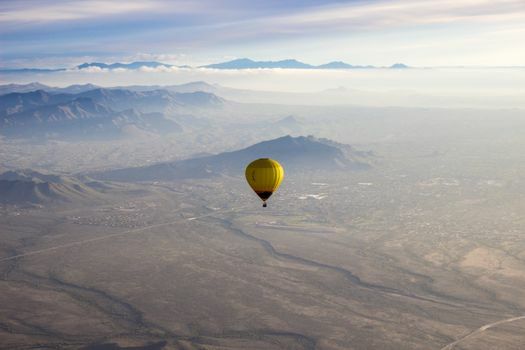 Another way to see a sunset or sunrise is in a hot-air balloon. Glide peacefully over the Sonoran Desert or mountain valleys, depending on your preferred route. You could join a group tour, but because this is a romantic trip, opt for a private balloon ride for an intimate and unforgettable experience. Once you’ve landed, enjoy a champagne toast and a full breakfast or dinner, depending on the time of day you’ve chosen to soar through the sky. 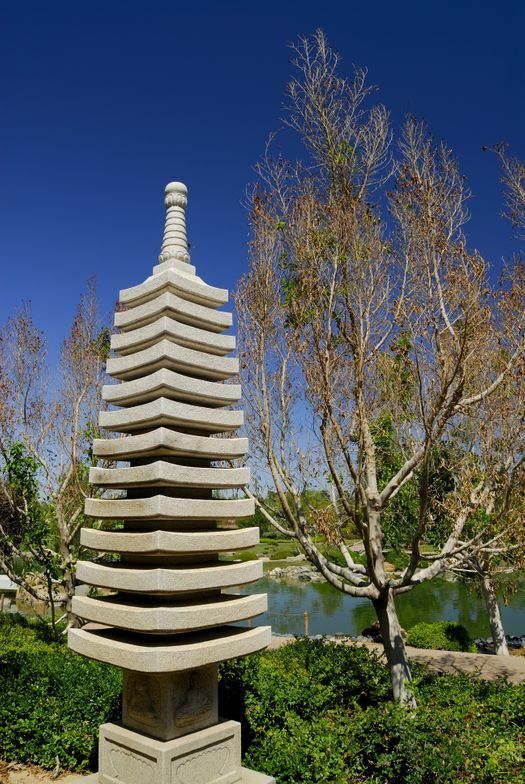 The traditional Japanese Friendship Garden is a calming oasis found in downtown Phoenix. Walk hand-in-hand across stone footbridges, stand by the 12-foot waterfall and see the colorful koi fish in the pond. The atmosphere is serene as you walk alongside the streams and admire the sculptures, lanterns and plants that are native to Japan. Feel refreshed in the teahouse and take part in a tai chi workshop together to feel even more relaxed. 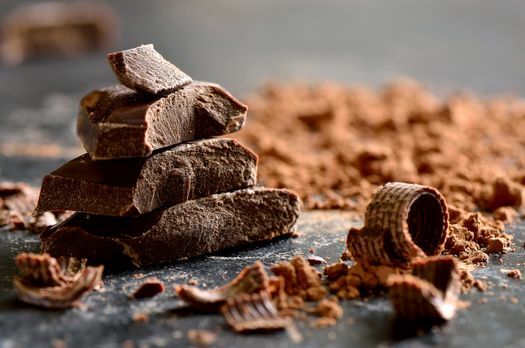 Chocolate is synonymous with romance, so head to nearby Glendale in February for the annual chocolate festival called Glendale Chocolate Affaire. While satisfying your sweet tooth, listen to live music, take a tour of the candy factory, attend romance novelists’ workshops and try to win a giant-sized chocolate heart for your loved one. 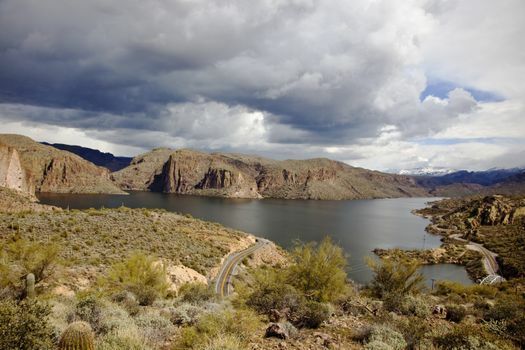 When you don’t mind traveling a little further afield, there are some great places to visit for weekend trips from Phoenix. One of these is Canyon Lake, which is an hour’s drive east of the city. When you’ve been surrounded by so much desert scenery in the heat, this oasis is a place to cool down and feel refreshed. Travel there for the day or pitch a tent for your whole weekend stay. During the day, enjoy sailing or swimming and have a picnic by the water’s edge. Get food from the on-site restaurant when you need it. At night, take a romantic twilight dinner cruise on the Dolly Steamboat and admire the mountainous scenery. 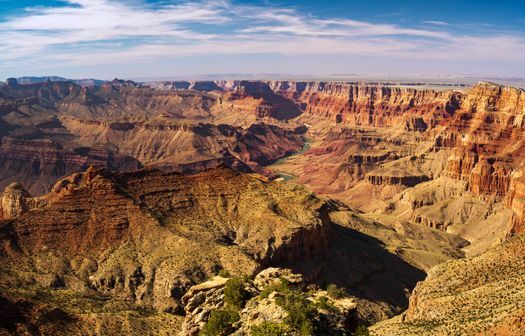 Another choice is the World Heritage Site of the Grand Canyon National Park. Book one of the many Grand Canyon trips from Phoenix to see this immense natural wonder in your preferred way. Enjoy a scenic helicopter ride over the Grand Canyon or take off in a small airplane and land in the canyon for a ground tour. Travel through the dramatic landscape by train on the Grand Rails Express, which takes you through the Coconino National Forest. 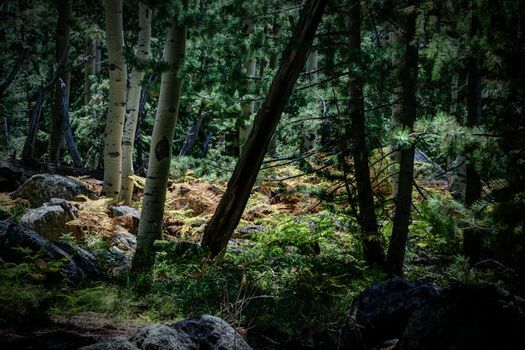 If you’re feeling more energetic, go on a guided biking or hiking tour, stopping to cool off in swimming holes and at waterfalls, and sleep under the stars.